I have traveled extensively throughout the US for many years and enjoy helping people to make the most of their RV vacations. There is nothing that compares to the freedom of the open road, especially when following it takes you to some of the most magnificent scenery and interesting places in the United States. My husband and I have been traveling in recreational vehicles across the United States for more than 50 years, so we know which places are worth visiting, and which are not worth your trouble. 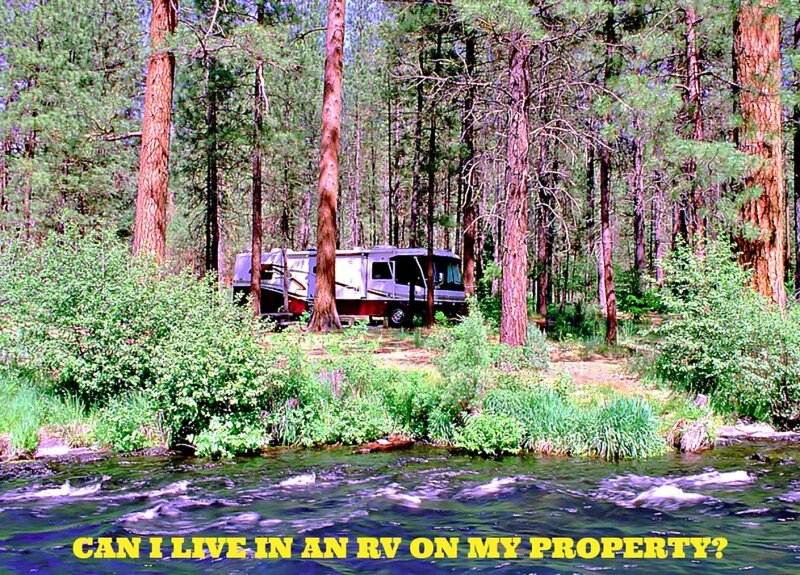 I have seen far too many people purchase a motor home or camper, get ready to travel, and then waste their time, effort and money because they listened to the hype rather than the voices of experience. Because they did this, their vacations ended in disappointment and regret, and for many, these feelings made them give up on RV travel. If you go to the places I show you in this article, that will not happen to you! 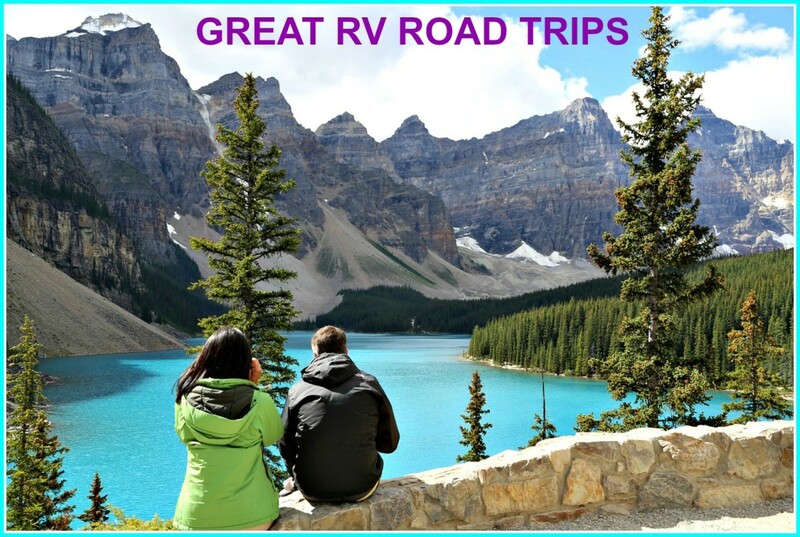 Where you decide to go on your RV road trip will depend largely on where you live, how much time you have for your trip and when you plan to go. To make any vacation successful, you need plenty of time so that you can enjoy yourself and build happy memories. You also need to pay attention to weather patterns. If you vacation in the fall, you will want to travel in the southern tier of the U.S., but in the late spring or summer, you definitely should head north. During those months, the weather will be more conducive to comfortable travel, and the scenery will be at its peak. Your road trip destination choices will depend on your start location, but no matter where you begin, I strongly advise you to avoid big cities, tourist traps and large, popular events unless you enjoy traffic, large crowds and high costs. Before you leave home, find out when various areas are holding special events, decide whether seeing them is worth your time and money, and plan accordingly. If you are like me and do not enjoy those things, plan your timing so that you can avoid them. Three good ones that come to mind are the wild buffalo roundup at Custer State Park in South Dakota, the motorcycle rally in Sturgis, South Dakota, and the Balloon Fiesta in Albuquerque, New Mexico. If you wish to see any of them, you will need to reserve camping spots a year in advance and be ready to pay far more than you would if you visited those areas at other times. 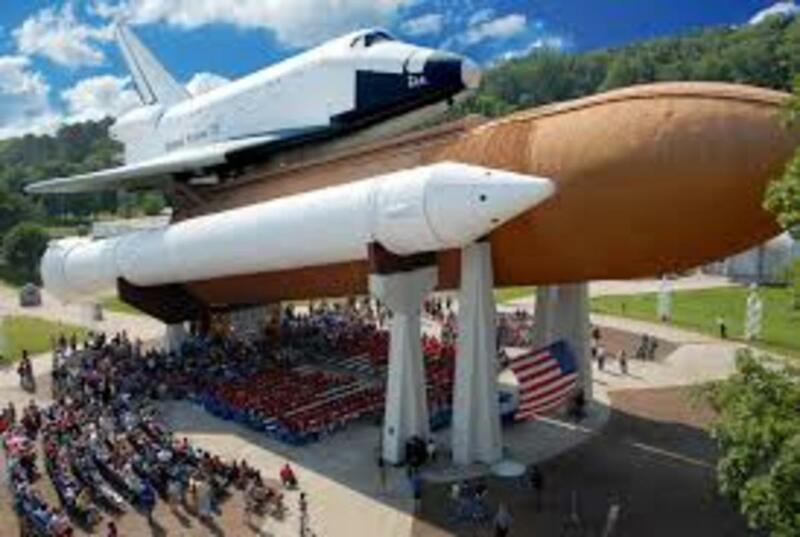 Since it is much less effort and expense to go on one long trip rather than several short ones, the destinations I am going to show you will route your trip to them from my home area in West Central Florida. We will travel in a skewed circle that will allow us to see the four best destinations at the lowest possible cost. Since we will be leaving Florida early in June, we will take the northern route going, and the southern route coming home. Florida is a fantastic road trip destination for RV travelers because of its mild weather, large variety of entertainment venues and abundance of campgrounds. Here is where you will find Busch Gardens, Disney World, Universal Studios, boating, swimming, fishing, nightlife, abundant sunshine and beauties clad in tiny bikinis. The best time to visit is between October 15 and April 15 because during those months the weather is generally less humid and hot. It can and does snow in Northern Florida in the winter, so tourists are advised to choose campgrounds that are located a bit farther south than Tampa. Florida is a peninsula that is bounded by the Gulf of Mexico on one side and the Atlantic Ocean on the other. It has the most beautiful beaches in the country, countless major tourist spots, restaurants for all tastes and wallets, great fishing and just about any type of entertainment you can think of. Those who visit can enjoy scenes like the one pictured regularly and at their leisure. 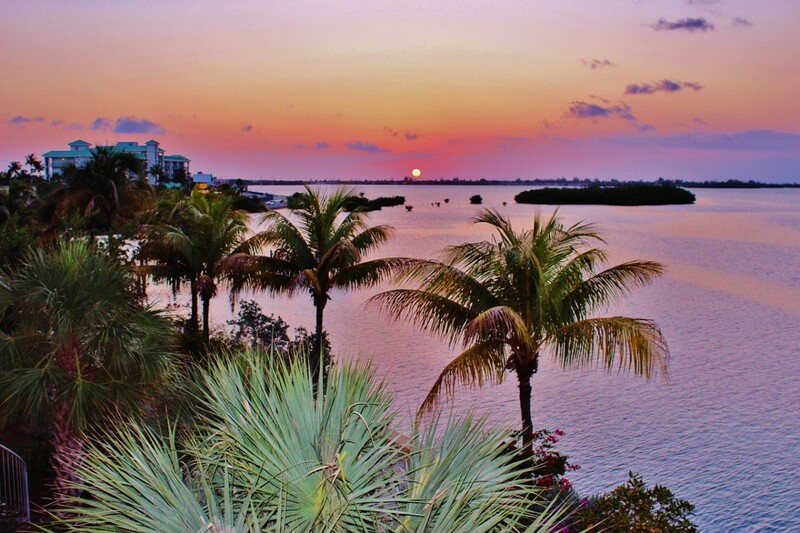 Florida offers something for everyone, and this makes it well worth visiting. We will leave from Florida, but if you have a different start point and want to visit this state, you may want to plan a different route than the one we will be taking. When we leave Florida, we will head west on Interstate 10 (which cuts directly across Florida's panhandle) and continue on to Biloxi, Mississippi. This town is famous for its Las Vegas–style casinos, shrimp boats, antique shops, fantastic seafood and miles of white sand beaches. Billoxi is a military town, and if you happen to be there during the 4th of July, you will see a level of patriotism that rivals any other in the country. If you stay at the Gulf Islands National Seashore in Ocean Springs, which is about five miles from the casino area of Biloxi, camping costs are reasonable, and even more so if you have National Park Pass. We always have a great deal of fun in Biloxi because we like to play the penny slots at the casinos, and we really like the buffets, free slot tournaments and shows that players club card holders can access. 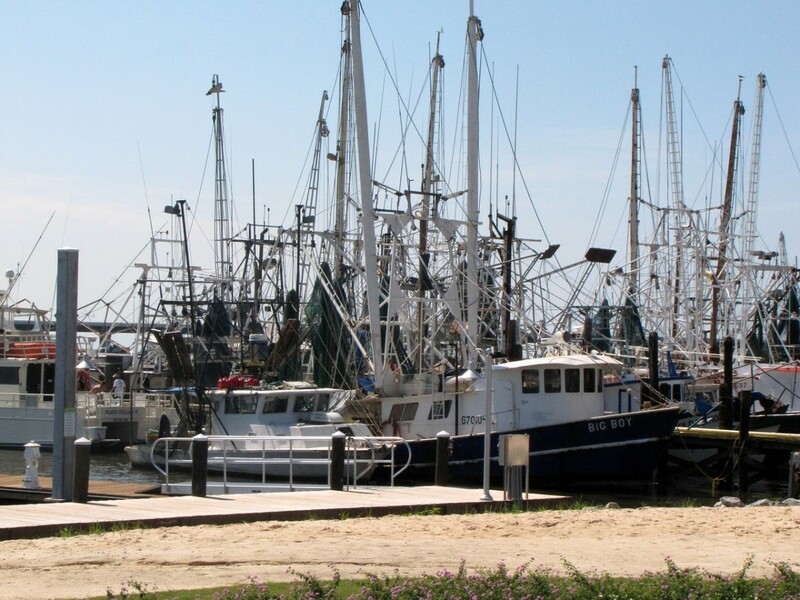 Hurricane Katrina decimated Biloxi and some of the surrounding towns, but they have been rebuilding and soon will return to their former glory. They have constructed a memorial to Katrina in their town square that is very touching to visit. It is a great and scenic city to visit and is well worth your time. As an RV road trip destination, no place can surpass the Black Hills of South Dakota for scenic beauty and variety of activities. If you set up a base camp somewhere in the hills, you can head back east on U.S. 90 and visit Wall Drug and the Badlands National Park. You can also spend time at the Sioux Museum and Stavekirk Church in Rapid City. If you have a lot of time, you will want to take advantage of the beautiful scenery, wildlife and activities at Custer State Park, a destination that is loaded with history, learning experiences, lodges, lakes, campgrounds, hiking trails, museums and more. You can spend some time in Deadwood and Lead, two small mining towns that still exist today that were saved by casinos! There you will find museums, old gold mines and a famous cemetery where Wild Bill Hickok and Calamity Jane rest side by side. You can also journey to the Pine Ridge Indian Reservation, and if you are lucky, you will be able to attend a real Native American powwow. 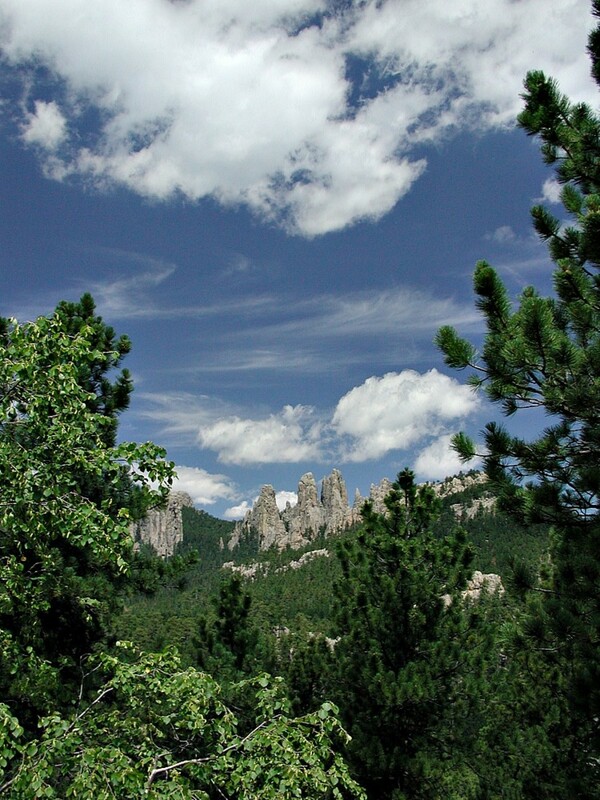 In the fall, in Custer State Park, you can also see a real Mountain Man Rendezvous. At any time of the year, Mount Rushmore and the Crazy Horse Memorial are great to see, and in early August, you can go to the annual and notorious motorcycle rally that takes place in Sturgis. Custer State Park has four lodges, ten campgrounds, six hiking trails, four lakes for fishing and boating, a summer theater, two small museums and even a small church for Sunday worship. Spend time there panning for gold, hiking or attending a barn dance, but whatever you do, make sure you visit the Black Hills and leave plenty of time for enjoying all this area has to offer. Half the fun of going to Yellowstone National Park is getting there. On the way, you can visit Devil's Tower National Monument and drive through northeastern Wyoming towards the wild and scenic Big Horn National Recreation Area. If conditions are right, you can drive across Beartooth Pass where the 14,000-foot elevation will produce breathtaking views of the Grand Tetons and other mountain ranges that hover above Yellowstone. Plan to arrive early in the day so that you can get a campsite. Yellowstone National Park is huge, scenic and offers only limited facilities in its campgrounds, but it is worth visiting. 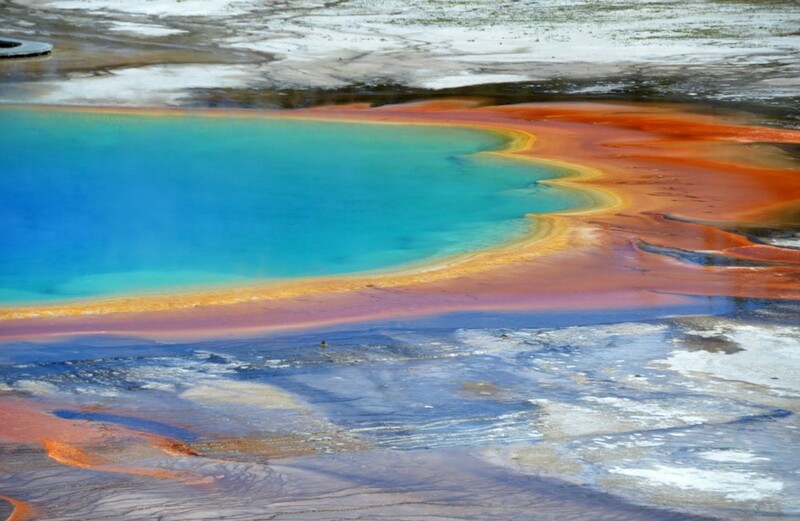 You will want to visit Old Faithful and the Old Faithful Inn, the Grand Canyon of the Yellowstone, the geyser basin and the Paint Pots. If you like to fish, there is no better place to do so. Montana is the fly fishing capital of the world! Hike if you dare, but be careful about the wild bears that abound in the park. Plan on spending a fair amount of money to see Yellowstone. My article, "Visiting the 4 Most Popular US National Parks" explains this issue to readers. Whatever you spend, know that what you see there will be worth every penny! Your days will be busy and full of fun, and you'll be glad you came to this wild, forested and interesting destination. 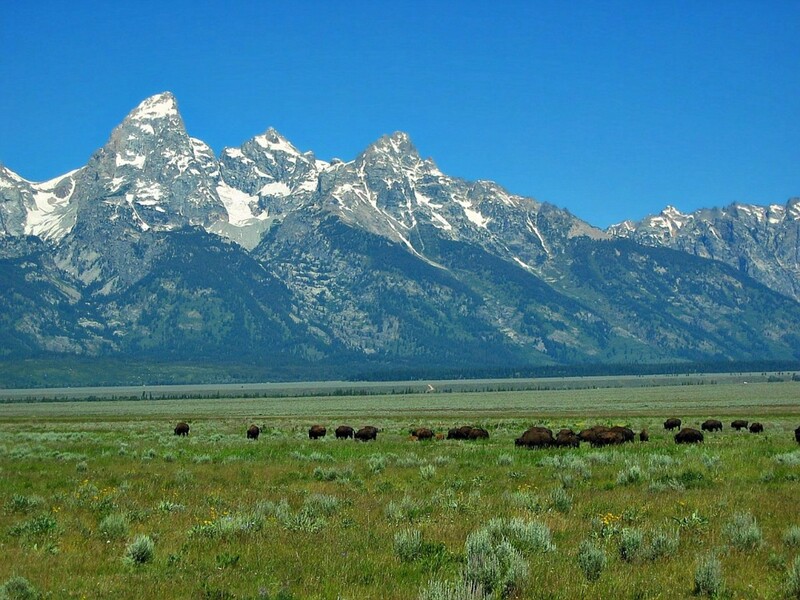 You cannot visit Yellowstone without driving 40 miles farther and visiting Jackson Hole and the Grand Tetons National Park because the scenery there is absolutely breathtaking. You will feel as though you are living in the middle of a postcard! Camping in the park is very limited and Jackson Hole campgrounds are expensive, but spending at least one night in a small town that has the look and feel of the Old West is worth the added cost. Do not park your RV on the street or in parking lots overnight because the city laws prohibit this. This destination is a haven for photographers because of the many scenes of the snow-capped mountains resting above lush green prairies. The way it looks in the images is exactly how it looks in person! 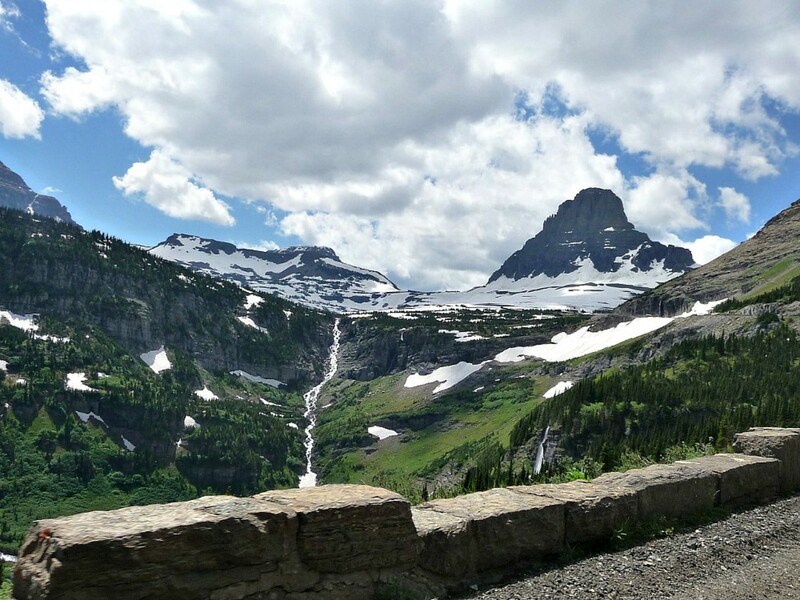 Although it entails some extra driving, seeing Glacier National Park is worthwhile. The park is relatively small, but you will want to make the drive across Going to the Sun Highway, which is beautiful as well as treacherous. If your RV is too long, you will have to leave it parked at the entrance and retrieve it once you return. 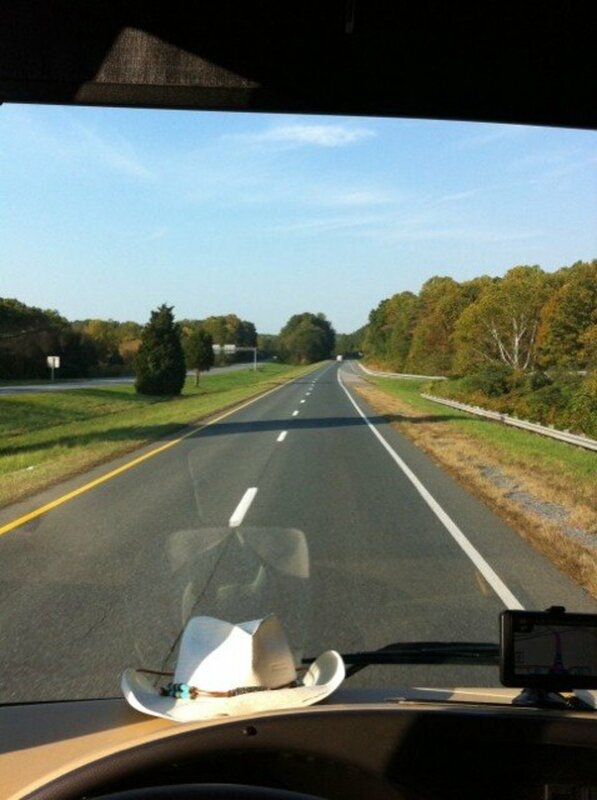 Never try to make this trip in your travel unit unless it is short enough, and you are a fearless driver! There are 14,000-foot drop-offs with no guard rails, and the road is narrow and windy. When you are at Glacier, you are very close to a Native American town called Browning. There you will find a fantastic Sioux museum that is well worth visiting. When you are in this town, you are in Native American territory, and you can literally feel it. Do not visit after dark, because it may not be safe for you to do so. The Indian Wars did not quite happen long enough ago that people have forgotten about them! The weather will be chilly no matter when you go, so take some warm clothing with you if you plan to visit. Glacier is truly the 'Wild West", so enjoy every moment you can. There are few other places like it in America. When we leave Glacier National Park we will head southwest to Las Vegas, NV. Every person should visit this wild city at least once in his lifetime. It, too, is the "Wild West", but in Vegas, that term means something entirely different than it does in Glacier! Las Vegas is an entertainment mecca that also houses Hoover Dam, Lake Mead and Red Rock Canyon, all of which are definitely worth seeing. 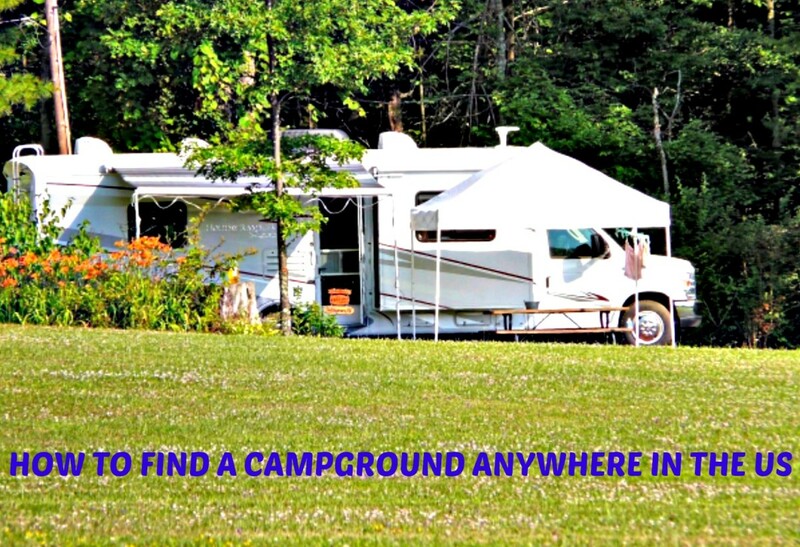 Contrary to what people think, there are many campgrounds there, which makes it a good stopping point! Make sure that you camp in a gated park, though, because the crime rate is quite high. Plan on spending some time there to see the great variety of interesting and gaily decorated casinos and some of the many free attractions. The shows are very expensive, but there are also many free ones you can see at the various casinos such as the acts that take place at the Circus Circus and the Rio. While food is not as inexpensive there as it used to be, there still are numerous deals you can find if you go online to LasVegasAdvisor.com. 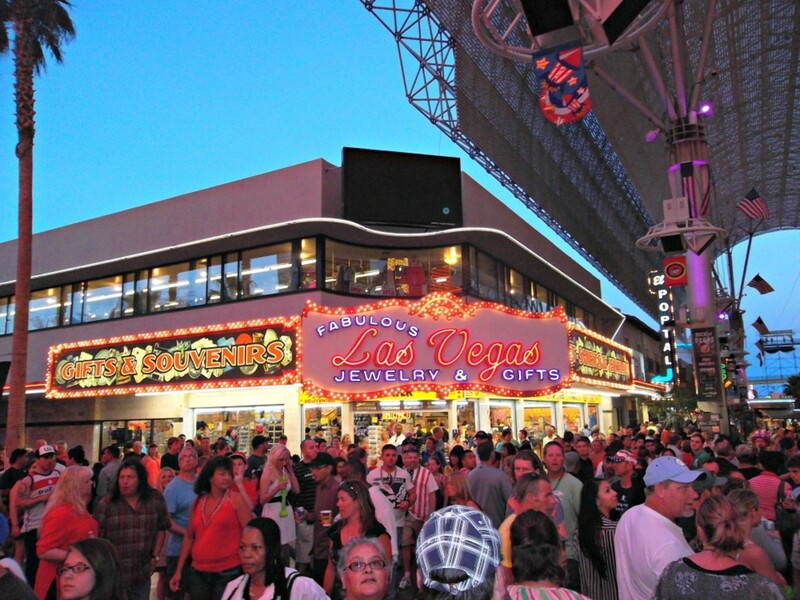 Las Vegas is truly a place where visitors can, for a while, forget their troubles and just have fun! From Las Vegas we will head east so that we can visit Washington, DC. 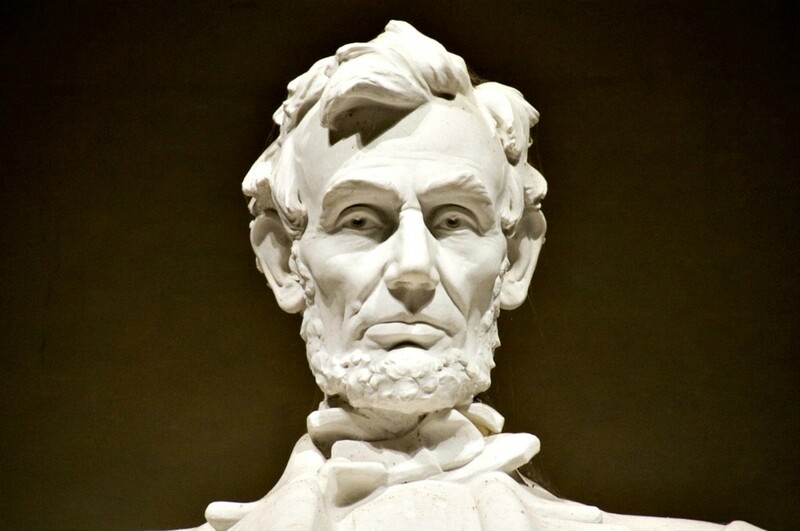 Every American owes it to himself to spend some time there because of its history and majesty. There is so much to see and do there that one could easily spend several weeks, and still not see it all. It would take more than a week just to see the six buildings of the Smithsonian Museum! When you visit, the grandeur of the architecture makes you feel as though you are back in ancient Rome. Statues grace every building and many of the walkways, and you cannot help but feel proud to be an American when you see them. You will ride the Metro every place because driving, even in a car, is almost impossible. Also, plan to do a great deal of walking. In addition to visiting the Smithsonian, you will want to see all of the famous monuments. You also should take time to visit Arlington National Cemetery and the Vietnam Veteran's Memorial because they are so inspiring. The best way to do this is to purchase a two-day trolley pass. Visiting this great city is a destination in itself, but it also is a great starting or ending point for an RV road trip. I have ordered these destinations in a way that will allow you to visit all of them in one trip if you have enough time and so desire. This would entail almost 9,000 miles of driving (about $3400 for a gas engine RV and $3000 for a diesel engine), about three months of camping (about $1800) or less than $6000 for the basic trip plus entertainment and dining costs. 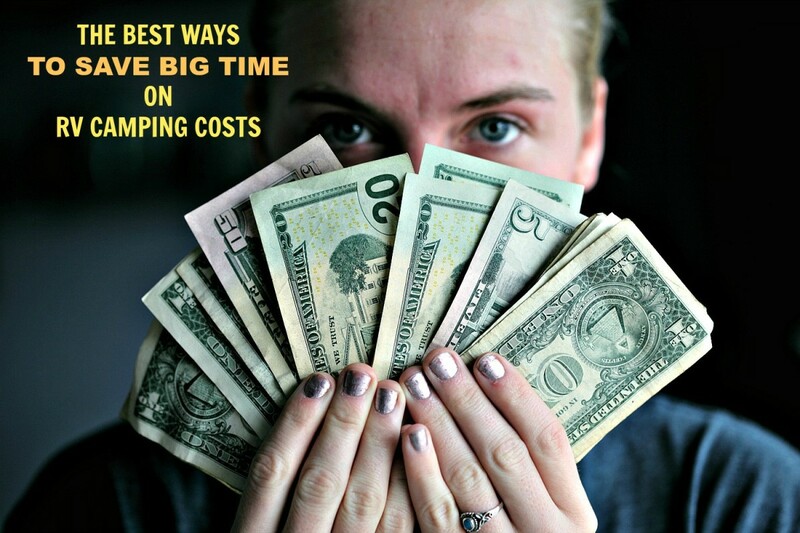 That boils down to about $78 per day for the basics, which is a reasonable daily cost. The RV road trip destinations shown here are among the best you can find in America, but there are many others you might enjoy just as much. It is time to head home now. I hope you will enjoy visiting these beautiful places as much as I have. Happy Trails, and I hope I see you on the road again soon. Which of the destinations mentioned in this article would you most like to visit? What's the limit on an RV's length in national parks? That depends on the park. 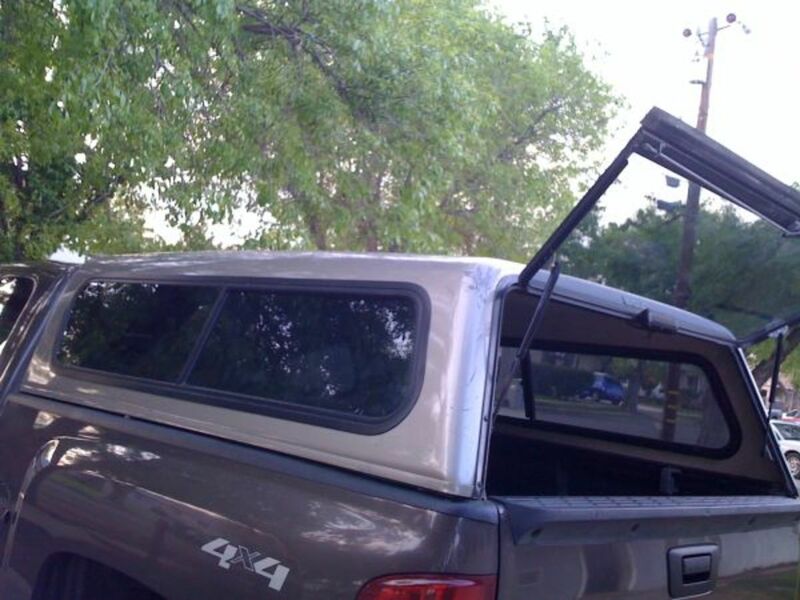 For some, anything more than 35 feet is too long, for others 22 feet would be max. 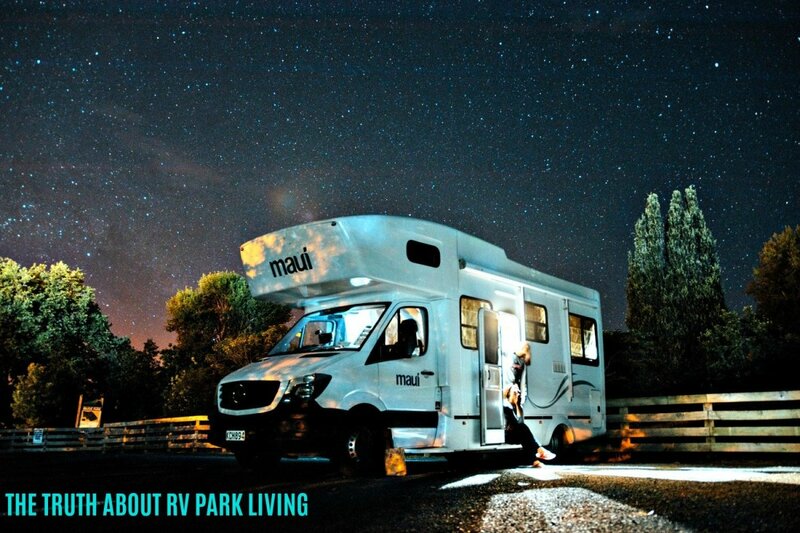 You can check length limits online per campground per park simply by googling "national park RV length limits". Thanks Thelma! I KNOW it's working because I've had a ton of views in the past 4 days since starting...more than 10,000! However, I know they won't last due to the nature of that site, but if it even continues to bring in some views each day, that will be great! Everybody says the same thing: it's great at first and then kind of dies down, but only for certain hubs. I'm sticking to using my niche site hubs there right now, and it seems to be working. Good luck! Hi TT2, Just wanted to let you know I was browsing around Flipboard today trying to figure out how it works. I happened to come across this article and I was pleased to see a fellow Hubber that I follow. Thought you would like to know it seems to be working! freecampingaussie: I hope you get to see America that way. It is truly a wonderful experience. Great hub ! We free camped around Australia & have written about it but in America we lived out my dream of crossing America on the train ! Hope to do it one day in a campervan..
Jackie Lynnley: Thanks. I have been to all of them and have loved every minute of my travels there. Just wanted to share! Jodah: Thanks. 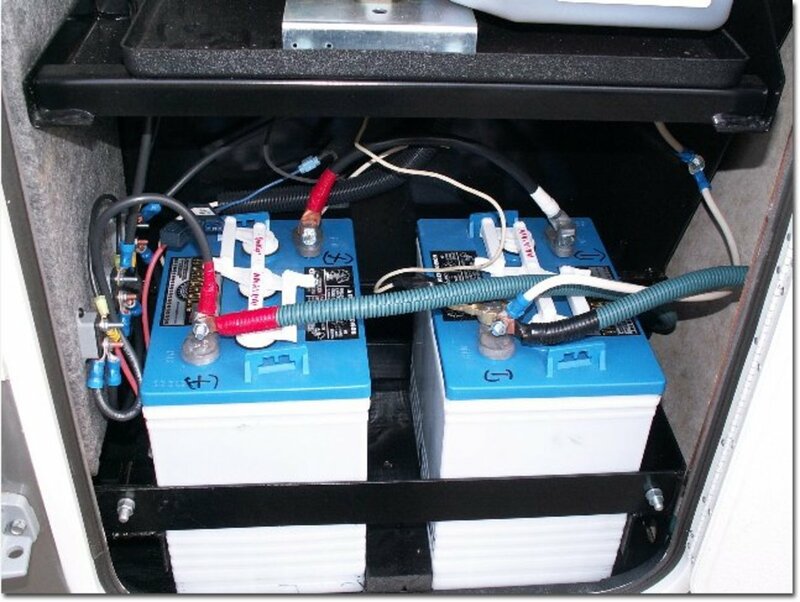 I have no idea about what RVing would be like in Australia, so I advise you to talk to lots of folks there who are traveling by RV and living in RVs to get a feel for the possibilities. Thanks for stopping by. Great and informative hub TIMERAVELLER2. I am not in America but still enjoyed the comentary on the places to visit. My wife and I have often spoken about selling up and buying an RV to travel around Australia, but we'll see what happens. Voted up. Torrs13 Yes, once you see them, their beauty stays with you forever. I also hope you get to go again. Thanks for stopping by. When I was younger, my family took an RV trip from Arizona to Montana. We got to see Yellowstone and Jackson Hole along the way... absolutely wonderful places! I hope that I can travel that way again soon. It was an interesting experience, but it was fun. Thanks for sharing these locations! Nell Rose: I'm so glad that you enjoyed this hub. It took a long time to write, but it was written with a great deal of love and as much for me as for my readers. Writing it took me back to journeys that are full of great memories. There are other great videos of various national parks in the US on You Tube that you might enjoy also, but I agree...the Tetons are really something!